Marble is a metamorphic rock that is composed of recrystallized carbonate minerals, the most commonly calcite or dolomite. Marble is not typically folded, but there are exceptions. In geology, “marble” refers to the metamorphic limestone, but the use of limestone generally encompasses the unmodified limestone. 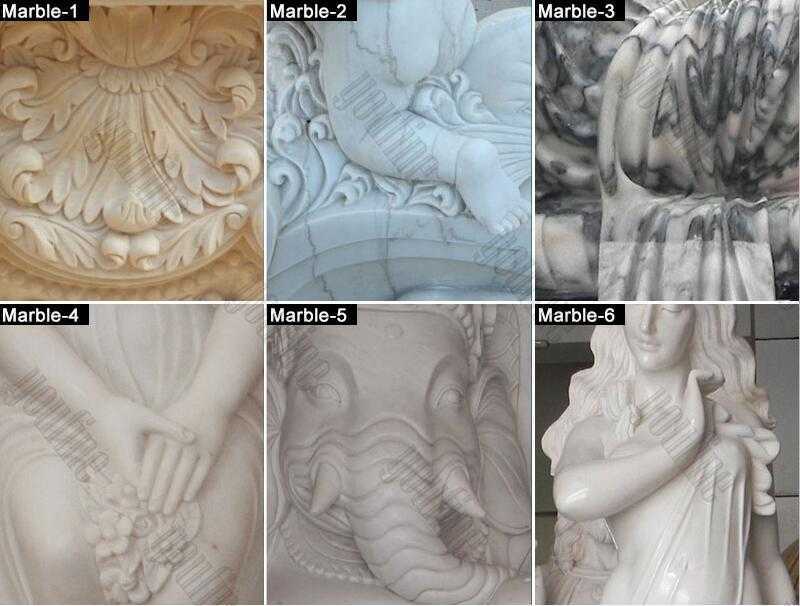 Marble is generally used as a sculpture or building material. 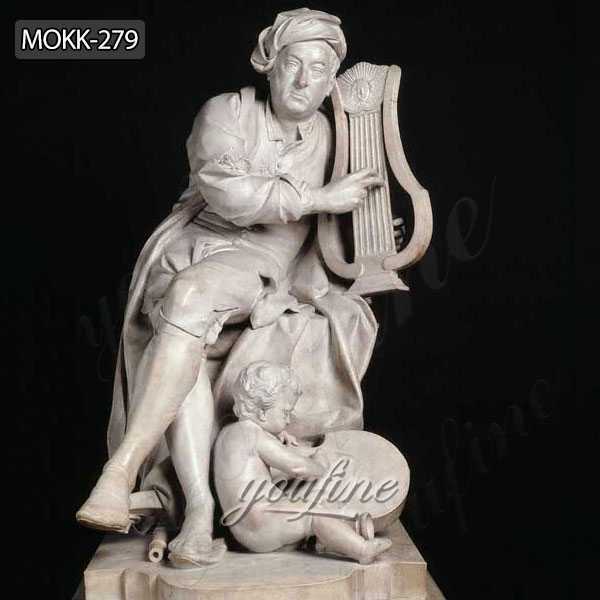 YOU FINE ART SCULPTURE is our greatest passion. For its raw and delicate beauty, marble is born as a material with inherent strength and durability. 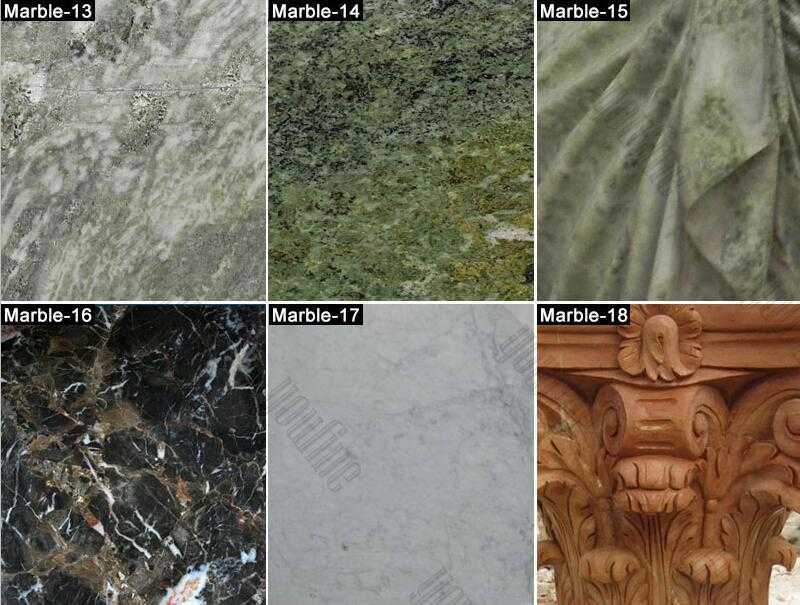 From ancient marble buildings to the dramatic marble floor of a modern mansion, marble has been associated with luxury for a long time. You can also create more subtle elements to make your room and outdoor space simpler. Every garden has a marble statue and a fountain. Marble fireplaces and small accent pieces will refine the living room of the house. It adds an immediate touch of class and elegance. Marble is a wonderful stone known for its colorful patterns. 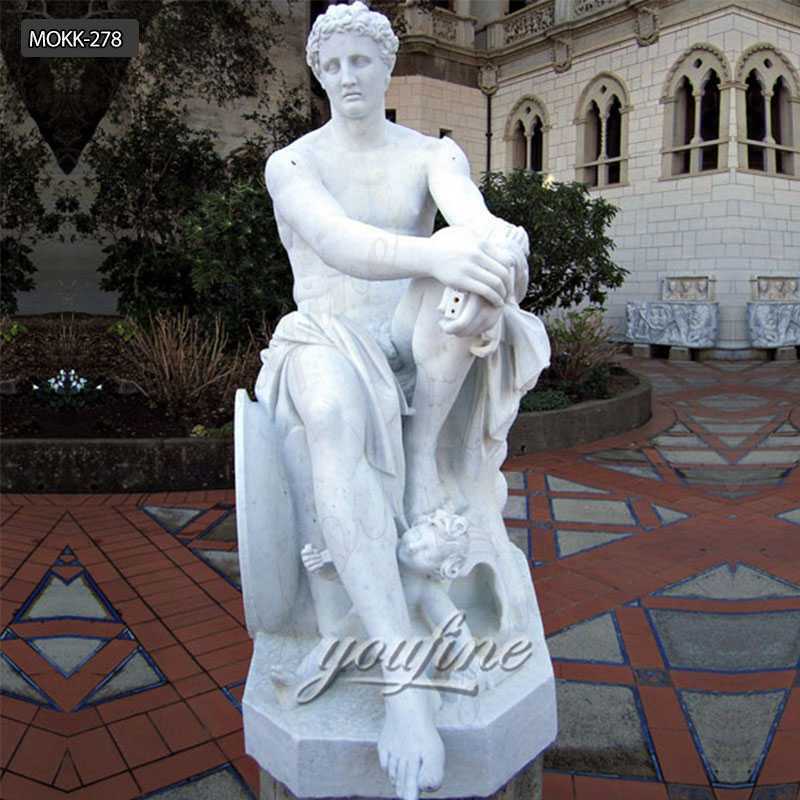 The YOU FINE ART SCULPTURE uses the finest marble from around the world and offers excellent choices in terms of appearance, color and individuality. We offer you an array of polished, polished, matte and rustic finishes for your marbles. Marble adds class to a glamorous and simple environment. Our skilled craftsmen here in YOU FINE ART SCULPTURE have been using this wonderful stone to gain years of experience. They can customize the marble project for you and big and small. 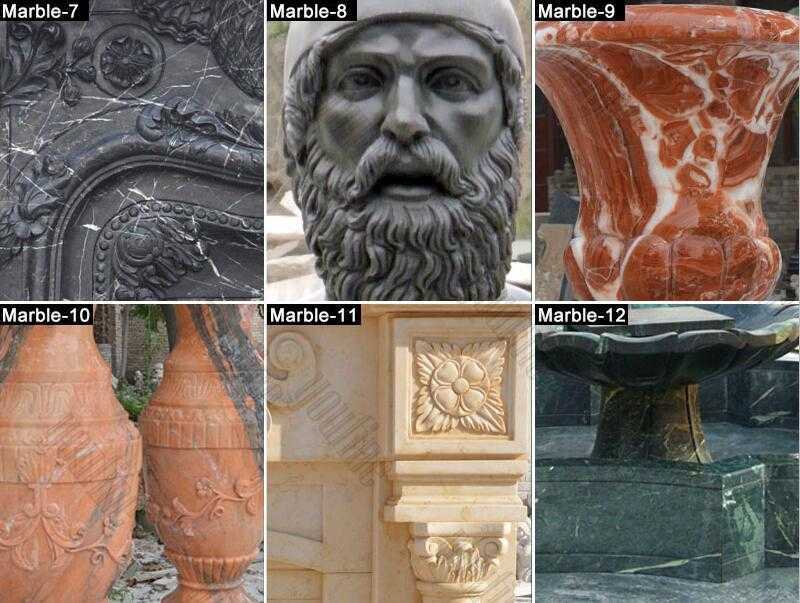 We specialize in large pieces like marble statues, marble pillars,marble fireplaces, marble pedestals and even marble gazebos and marble tiered fountain. 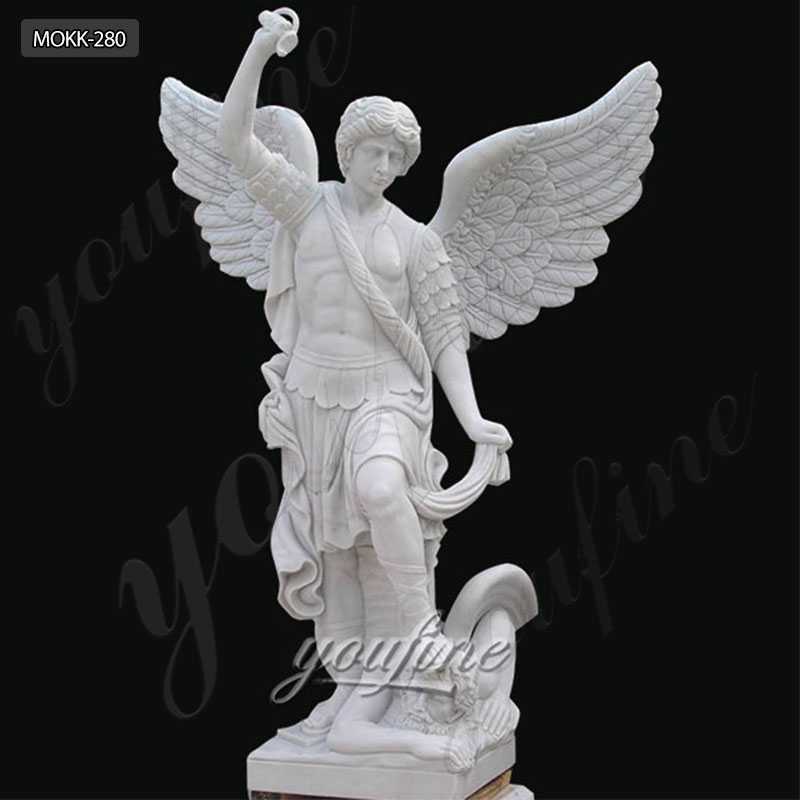 Choose from a wide range of design collections, or create a new one that is particularly bold for you.YOU FINE ART SCULPTURE is China leading supplier for marble works of sculptures and projects. We are experts in this incredible stone and take pride in our marble work. For more information and ideas, please contact us. Granite is a common type of erosion-resistance igneous rock with dense and Fanelitic texture. The granite is mainly white, pink, or gray, depending on its mineral properties. The word “granite” comes from the granum of Latin in relation to the coarse grain structure of such coarse-grained rocks. Strictly speaking, Granite is a igneous rock having 20% to 60% quartz in volume, but at least 35% of the full-length stone consisting of alkali feldspar, generally the term “granite”, the igneous rock containing quartz and feldspar. Travertine is a form of limestone that has been deposited by a spa, especially a hot spring. Travertine often has a fibrous or concentric appearance, and exists in white, tan, cream, and even rusted varieties. This is often formed by the process of depositing calcium carbonate rapidly in the mouth of a hot spring or in a limestone cave. In the latter, it may form stalactites, stalactites, and other vertebrates. It is used frequently as a building material in Italy or elsewhere. Travertine is a rock of ground sediment precipitation of carbonate minerals from surface water or solutions in seawater, and/or similar (but softer, very porous) sediments formed from ambient temperature water formed by geothermal heated springs Known as the truth. Travertine is an excellent stone choice for a large stone project that floats in the space of your home or office. A unique pattern and the beautiful, natural imperfections of this stone give it a distinctive look with many features. Travertine is ideal for outdoor applications such as warm weather pavement, fountains and gazebos. Travertine can be comfortable barefoot even on hot summer days. Also used for indoor stone works such as fireplaces, pillars and floors, travertine makes an aesthetic statement. The diverse personalities of travertine allow for multiple ways to be used in the same space. Travertine is a type of limestone that is generally deposited by a hot spring and formed like a cave seen in caves. Travertine often comes in white, tan, creamy and rusty colors. The striking patterns found in travertine are often similar to marble, but are more economical in price. This can extend the masonry of your home or office, or be refurbished at an affordable price. Although it is a porous material that may be forced to work overtime, Travertine is a very hardy and environmentally friendly alternative to most wood and porcelain flooring. Travertine is a natural product that protects the environment from damaging the process that is used to create alternative flooring and decorative materials. The skilled craftsmen of Marble maison are experts in designing custom stone products from travertine. They work with a unique look for each piece of stone to maximize the look and function for you. Travertine is a statement stone that captures your personality and can show the artistic brilliance of Mother Nature. Sandstone is an interesting rock that introduces the forces and beauty of nature. It is a sedimentary rock that is largely compressed by sand and rocks countless times. Layers of different sizes and shades of cream, tan, brown, and even Black will tell the story of the Earth’s transformation through time. 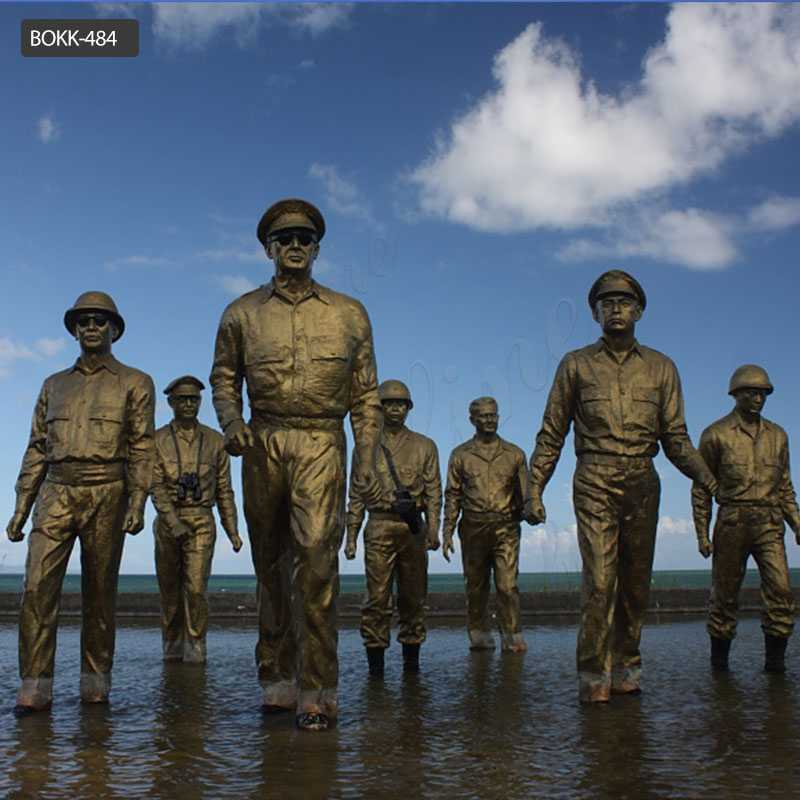 It is part of the history that is etched into incredible art. The marble Maison has a variety of colors and patterns of jewelry. We supply sandstone from all over the world to offer you the best choice. Our master craftsmen have years of experience with this special stone and can tailor the design to suit your space. Sandstone can be used as a unique floor, architectural features, statues and other parts of the art of stone. The sand stone quickly gives warmth and texture to the indoor and outdoor spaces. Its organic look brings a natural touch. It helps ease into detailed engraving that can continue for many years with proper preservation. Sandstone makes the weather over time, but can be sealed to protect it from the elements. With proper attention, sandstone is proven to be one of the most durable stones. In fact, sandstone is the main building block of Angkor Wat, a famous and brilliant temple in Cambodia dating back to the twelfth century. Contact us for information on how to incorporate sandstone into your architectural and decorating designs. Bring some of nature into your home or office space. Sandstone is a clastic sedimentary rock consisting mainly of the size of sand (0.0625-2 mm) of mineral particles or crushed stone rocks. Most sandstone is made up of quartz or feldspar (both silicate), as seen in the Bowen Reaction series, is the most resistant mineral to the weathering process of the Earth’s surface. Sandstone-like sandstone may change color by impurities in minerals, but the most common color is tan, yellow, red, gray, pink, white and black. Since sandstone floors often form prominent cliffs and other terrain features, certain colors of sandstone are strongly identifiable in certain areas.